Today the first elections of heads and deputies of communities’ councils are held in 201 united territorial communities. 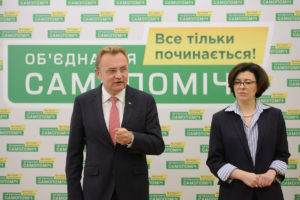 As reported by the chairman of the Executive Committee of the Samopomich Union party, MP Oleh Lavryk, observers registered a number of violations as early as at 12:00 pm. At a voting station #120489 of Slavhorod village council, in the bulletin for the election of deputies in a single-mandate electoral district, it is indicated that both candidates represent one party – “Solidarity”; while in fact the second candidate is a representative of Samopomich. The head of the precinct election commission sees no reason to stop the voting. At another polling station in Slavhorod, members of the PEC’s exit groups carried out indirect campaigning for a particular candidate. The violation was documented; a corresponding act was drawn up. At a voting station in the village of Mayske, where representatives of Zaitseve village council are elected, members of the PEC and observers who were on the site were attacked by unknown persons at about 08:00 pm. The people have moderate injuries. The ballot boxes are intact. The police and an ambulance are working on the spot. A polling station in the village of Pyshchyky in the Fursiv UTC of the Kyiv region was opened late. The station opened at 08:40 am due to an additional recount of the number of available bulletins. At the same time, PEC representatives did not want to register the 2nd observer from the Samopomich party. Following an additional revision of the legislation, the issue was settled, the observer is allowed to work. As of 08:00 am, there were no seals at the precinct election commissions in the Odesa region. In particular, this violation was spotted at polling stations in the Bilhorod-Dnistrovsk district where representatives of Shabiv village council are elected and in the Kiliya district where representatives of Velykiv town council are elected. These were PEC heads who had the seals on them and who came to the polling stations late. There is a “confusion” with election documents. Namely, at some polling stations voting ballots from other constituencies are used; sometimes people refuse to vote in the constituencies where they have the right to vote because their candidates are not there, while other people vote in the constituencies where they don’t have the right to vote. PEC members do not stop the voting process. Such violations were spotted and documented at the elections in the Kiliya district to Vylkiv town council of the UTC (PEC #516423) and in the Bilhorod-Dnistrovsk district to Shabiv village council of the UTC (PEC #510205). Such a course of voting does not correspond to the provision of Art. 77 of the Law of Ukraine “On Local Elections”, and the actions of the PEC members may be qualified under Art. 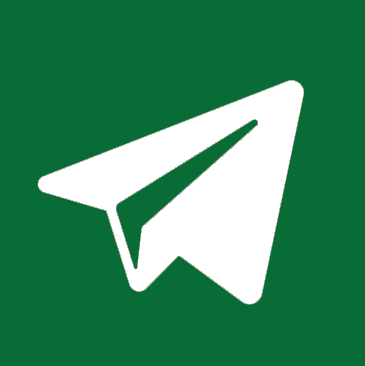 158 of the Criminal Code of Ukraine – falsification of election documents. The violations are documented and reported to the TEC, but there is no response. At one of the polling stations which elects representatives to Kyrylivka village council PEC members issued ballots without signatures of voters. An act of violation was drawn up. 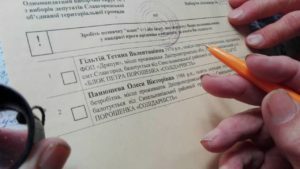 On the eve of the voting – October 28 – during an audit of the ballot papers to the Stepanivka district UTC of Sumy region, an error was found in the name of the candidate from the Samopomich Union – Bohdan Tamashov. The bulletins were not reprinted. At 09.40 am violations were spotted in the village of Bilozirka – at the polling station #650047 there were no seals on the ballot boxes #4 and #5. The first box lacked sealing, while the second one had no vertical screws (there was only adhesive tape). An act of violation was drawn up with a request to withdraw these boxes and not use them for voting. At another polling station (Liubymiv village council) there was a lack of seals on the ballot boxes. According to the chair of the electoral commission in the village of Sofiyivka of Stanislav UTC, as of 9.30 am, there were violations since one of the candidates for the deputy – a self-nominee, a member of the “Nash Kray” party – was not on the electoral list. All the ballots in which the candidate is absent were withdrawn and 224 corrected ballots were issued. This situation resulted in the suspension of the work of the polling station for 25 minutes. An act of violation was drawn up and, as of 10:00, the work of the station was resumed. At one of the polling stations (elections to the Novopolotavsk village council) one of the boxes is sealed with a paper seal and only on from one side, which makes it possible to freely access the box without removing the seal. The violation is documented. In the town of Krasyliv, where the elections to the Krasyliv town council are held, certain persons who are associated with the Batkivshchyna party rented an apartment to which voters are brought before and after they vote. It is not difficult to guess what the voters who have to vote for the “right” candidate get there. During the elections to the Antoniny village council, a people’s deputy from the Petro Poroshenko Bloc – Andriy Shynkovych – is travelling from village to village with a candidate for the head of the Antoniny village council from the same party and, at the same time, carries out an anti-agitation against the candidate from the Samopomich Union. At the station # 680587 in the village of Antoniny, at around 7:30 pm the chairman of the PEC started calling the voters who did not come to the polls with an appeal to come to vote. At 2.20 pm the head of the PEC in the village of Muksha was suspended because of the lack of local registration. Now the deputy chairman, a representative of the Samopomich Union political party, acts as a chair. It was also reported that the secretary of the Oleshyn village council of the Khmelnytsk district was calling the residents and agitating them to vote for persons from the “Poruch” party. At the elections to the Zachepylivka village council, at one of the polling stations it was revealed that the ballot boxes were not sealed. The violation was spotted by an observer from the Samopomich Union party, a corresponding act was drawn up. Agitation posters of candidate Lyakh Vladislav from the “Nash Kray” party were not removed. In particular, the posters are placed on all the pillars in the city. During the elections to Demydiv village council, at the stations in the villages of Kniahynene, Ilpyboky, Rohizne, Rudka, Lysyn, Dubliany, Perekali there was power cutoff every hour. According to local activists, these are technical problems due to bad weather and old electric lines. At one of the polling stations (elections to Velyki Mosty town council of the Sokal district) bulletins were printed without a letterhead. Bulletins are reprinted. At another polling station to the same town council, 200 meters away from the polling station, there is an advertising board of the “Svoboda” party in a private area. Following a remark made to the owner, this person refuses to dismantle the agitation board. In the village of Pidhirtsi, Rudky district, an attempt was made to remove the bulletin from the station at the elections to Rudky town council. The person who tried to take out the ballot was detained, an act of violation was drawn up. Probably, the rigging scheme is launched. In the town of Rudky, at the elections to Rudky town council there was power cutoff at about 2:30 pm. The work of three polling stations is suspended. In the elections to Rudky and Velyki Mosty town councils an indirect campaigning of the polling stations for the “Batkivshchyna” party was noted. 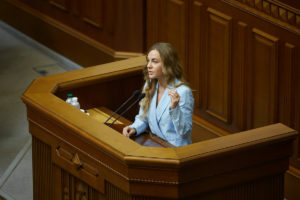 In addition to this, polling stations in Cherkasy, Poltava, Khmelnytskyi, and Ivano-Frankivsk regions were opened with a delay.